Add warning that Gimphoto for Linux still CAN'T do MDI. For users that already download before 26/08/2008, please re-download again. Sorry for much trouble, this explanation about it. Please report your difficulties, troubles or success in Gimphoto for Linux installation using comments in this page, this will be valuable to others. Today is my country Indonesia Independence Day. So for celebrate it, i have a very special present that will give FREEDOM to all of us. I hope this package can be as one more reason to use Linux! I had fought almost 8 months to prepare it for this day and now i presents to you... Gimphoto 1.4.3 for Linux! i'm still searching workaround to do MDI under Linux. Gimphoto for Linux Installer compatible with ALL Linux distro such as Ubuntu, Debian, RedHat, Suse, Mandriva, etc and already tested using Linux Mint 4 Daryna and Ubuntu 8.04 Hardy Heron. GimPhoto 1.4.3 Debian Package (deb) - Thank's andyhep! You will run Gimphoto executable file because GIMP is not available in your system then it's safe to run Gimphoto directly. I have Ubuntu 8.04 and I'm try to install your Gimphoto, I'm Following this manual but in the step 6 nothing happen on my PC, I already downloaded the 6 files (5 parts and Joint) I run the Joint script, this make the file that u mentioned on the manual but when I Run it ... nothing happen ... :( pls can u help me ??? what I miss ??? check if you already save all files under your home folder so you have enough permissions to read/write/execute on that folder. later, give execute properties to joint script, follow this steps: Run Nautilus > Click on file gimphoto-143-joint.sh > Right-click > from PopUp Menu Select "Properties" > Click Tab Permissions > Enable "execute..." permissions. after that, Double-click on gimphoto-143-joint.sh to run it. hi zenith. belated happy independence day. what exactly would happen if i'm unable to uninstall Gimp (the one that comes bundled with Ubuntu 8.04) before I attempt to install Gimphoto? what risks am i taking? oh yeah. i tried double clicking the joint script, but all that happens is it opens in the gedit application. how can i run it? just follow instructions in this page carefully, specially in the part "If you have GIMP in your system". after that, Double-click on gimphoto-143-joint.sh to run it, if you use Nautilus don't forget to choose "Run" instead "Display". i was able to run the script, and able to put the files together. however double clicking the set-up file that gets put together afterwards doesn't do anything. the file is on my desktop. i moved it to my main folder, which would be "jace001" right? if i put it in my /home folder, it says "permission denied" when i go to properties of the folder, it says that i'm not the owner of the folder so i can't edit permissions. how do i edit it? i'm lost. NOT /home/ because inside /home/ there is /home/john/, /home/sally, /home/joe, etc. are you can run gimphoto-143-joint.sh? if you can run it and gimphoto-1.4.3_setup file appear in your folder, then try to run it, if it can't run then try to run it as root user. i am using ubuntu 64 bit hardy heron gnome desktop and i am not a very experienced user. gimphoto-1.4.3_setup appears ,i double click on it but nothing happens. all archives are in the folder which has the name i use to log in. i typed sudo -i in the terminal and then i tried to open it is that the correct way? try to type "sudo nautilus" and double-klik gimphoto-1.4.3_setup. if still can't run, click gimphoto-1.4.3_setup, right-click, from popup select "Properties", from open dialog, click Tab "Permission", check "Execute..." or "Allow execute..", enable it to allow user to execute this file. click OK and try to run it again. using hardy heron too, like anonymous, and tried "sudo nautilus" and applying permissions - enable executing as program,then double clicking on the gimphoto-1.4.3_setup file, nothing happens however. in properties, under the "open with" tab, it doesn't say what program to open with. should there be something there? Using ubuntu 8.04 32bit, I haven't uninstalled gimp yet. "application-specific initialization failed: bad end of central directory record"
I am then left at a % prompt. it's look like your download is somewhat corrupted or not completed. maybe reinstall it...anyway your project is very helpfull,thanks again. i will try it in windows for the time being. i'm really sorry for this much trouble, please try download it again. i updated the files and also give more detailed installation instruction. Ok install procedure was much more successful this time round. However, I was under the impression you were providing an MDI for gimp. Can you please provide some clues as to how I enable this feature, or was I mistaken in this assumption? One more thing to note is that the LXSplit program you suggest to compile doesn't require the configure step you mention. It is a pity that standard cat command on you system does not produce your initially desired results, as it would make distribution of your project easier. you already success install GimPhoto? and be able to run it? windowing system is very different under Windows and Linux, so GimPad must be programmed from scratch for adapt to Linux. I completely removed gimp and installed succesfully gimphoto in Ubuntu. When I run the program I still get the seperated screens instaed of one window. i've cheched the synaptic manager and can't seem to find this particular version, although others are installed in my system. Do you have any advice? i'm sorry but for integrated screen you need to use GimPad and for now GimPad is only available for Windows. please read my comment above your comment for detailed info about MDI under Linux. i only tested GimPhoto using Ubuntu 8.04 32bit and it run ok, all files and libraries that needed by GimPhoto is already supplied within GimPhoto for Linux installer. i never using 64bit system so i don't understand what the difference between 32bit and 64bit system, maybe you got library compatibility problems. Aku bangga padamu, hai orang Indonesia! You light the torch for frustated gimp users like me! Installed succesfuly on Linux Mint 5 Ellysa, running side by side with Gimp 2.4.5 and GimpShop (a gimp layout like photoshop's one). error, but I have been tried Gimphoto smoothly. but if it still error then please inform more detailed about what PCLinuxOS version do you use? 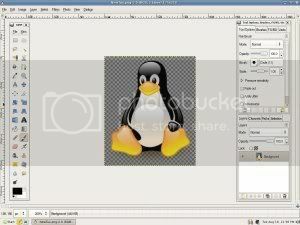 what GIMP version that come default with your Linux? GimPhoto is compatible with GIMP 2.4.5. If your GIMP version is older then GIMP 2.4.5 then you will need all new GIMP file library dependencies, from your error code i think you have problems with libtiff, python and lcms library, please check it again. what Linux distro do you use? what version? its Kubuntu 7.04. As said above, i uninstalled gimp and then installed the gimphoto. I had Gimp1.2.X earlier. this happen because you need to newer libgtk version to run GimPhoto. GimPhoto need environment just like GIMP 2.4.5, so if you can run GIMP 2.4.5 under your Linux then GimPhoto can run too. 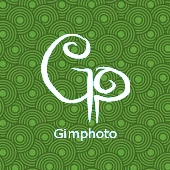 I can run GimPhoto under Ubuntu 8.04 and Linux Mint 5.0 without installing additional files or library. for Ubuntu 7.10 or Linux Mint 4.0, i need to install newer libgtk before can run GimPhoto. But be careful because installing libgtk without prefix will ruin your Linux installation. Gw jg dari indonesia tepatnya bali. Gw udah coba instal di ubuntu, dan berhasil! Tapi masalahnya Gmn caranya supaya icon/shortcut dari gimphoto supaya bisa ada di desktop/depan? Oh, iya sebelumnya udah install gimp tapi udah tak uninstall/remove beserta file preference nya (/home/your_username/.gimp-2.4) << udah tak hapus. jadi gmn supaya icon/shortcut gimphoto bisa ada di desktop/depan ? untuk icon/shortcut dari gimphoto supaya bisa ada di desktop, silakan ikuti tutorial-nya. Jadi, saya minta tolong gmn caranya supaya shortcut gimphoto bisa ada di depan? Makasi banyak mas, shortcutnya udah berhasil tak bw ke desktop. supaya iconnya jadi iconnya Gimp? jadi bisa ga iconnya jadi icon Gimp? perhatikan langkah tutorial no.3 dan ada tulisan di gambar "click here to change icon". 7, klik ok maka icon menu akan berubah menjadi icon yang telah dipilih. I did everything until the double-click to install. Nothing happens there. from Nautilus, try to right-click the file and select Properties > set Enable to execute, after that try again to double-click the file. Makasi banyak mas, ganti iconnya udah berhasil!! Zenith, this is Anonymous from two posts above. It still doesn't work. I have Mandriva 2009 Gnome if that might be relevant. Please help me to install Gimphoto in Mandriva 2009. Those instructions don't work and I need it. try more specific about your error message and you can also try to run it from terminal or run it as root. Just some feedback on install. Installed on Arch Linux. Installed with no problems. When opened from gimphoto/bin/gimphoto it opened as expected but would not open any file types (jpg,png,etc) and no file types showed up in the 'Select File Type' in File>Open except for "Automatically Detected" and "Gimp XCF Image". Then tried opening from gimphoto/gimphoto.sh. It opened perfectly and I could open files with no problem and the full list of file types was listed in the 'Select File Type' option. Also, for what it's worth, the running program does not show up in my application panel at the bottom of my screen. But this could well be a kde4 problem and not yours. I posted about a "problem" in ubuntu Intrepid.I found the direct icon with some help ^_^U it seems to work fine. Still it didn't asked for password O_o it may be 'cause my set preferences >.> I better check. By the way it's great that you offer this software. It's a great idea. Tanks. please tell where i can read and learn to compile applications from source into binary package which runs on any Linux, just like you do with lxsplit. - for compile apps from source into binary, try search good tutorial via Google, like "compile vlc 0.9.2 for ubuntu 8.10"
- after you successful compile it then try all the program features. - package installer that created using installjammer will compatible with any Linux. There's been some discussion here, and on the Ubuntu forums, about creating a .deb package for Ubuntu (and other Debian-based distros). It will create a .deb package file for you, and install it in the package database. You can then uninstall any time using the normal deb package management tools. I already tried following your steps but .deb package that produced is only 2Mb and that far from original GimPhoto installer size that around 20Mb, why this happen? is this steps will wrap gimphoto installer with .deb format? Actually, I think what checkinstall does is run the installer, track the files as they are installed, and then bundle all these files into a .deb file. It seems not to be working properly for you - 2Mb is definitely too small - the .deb package should be around 16.8Mb. Not to worry - you can download the one I created from this link. Thank you very much for gimphoto deb installer! i will try your installer, if it works ok then i will upload it to googlecode and give you credit for creating it. i already tested your deb package and it works ok! Thanks for your effort but maybe you could put a big bold text warning at the top of this page that explains that this program does not provide MDI. It could be that I'm just dump and missed it anywhere on your site, otherwise it should definitively be noted IMHO. I completely purged my GIMP and preferences just to install another older version of GIMP. I have not looked at your program much beyond it's lack of MDI since that is the only thing I don't like about GIMP. I'm sure there is value for some people, just not myself. Next time I boot into Windows, I'll give your program another shot. Thank's for trying GimPhoto and also for your suggestions. for now i set more detailed info about MDI condition under Linux for prevent misleading screenshot intepretations. Kapan buat versi baru dari gimphoto, saya sendiri make yg versi windows dan linux? terima kasih atas kesediaannya untuk menggunakan GimPhoto for Windows maupun for Linux. oya, mohon bantuannya untuk memperkenalkan GimPhoto ke teman-teman atau kerabat Anda mengenai GimPhoto, terima kasih. what OS do you use? which package do you use? deb or universal? and what is the error message?